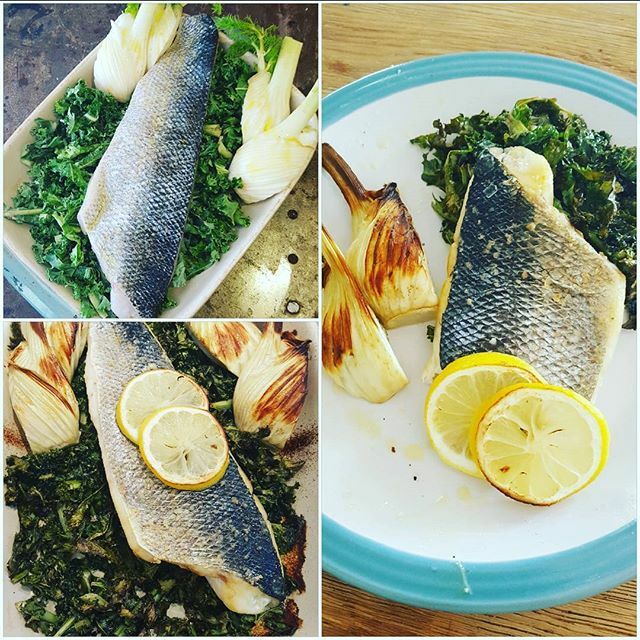 Place kale first in a baking dish and lay a boned and filleted wild sea bass fillet on the top. I also added some fennel. The fish is seasoned with olive oil salt pepper and lemon. The kale is also sprinkled with olive oil or if you wish, coconut oil. A delicious, low carb and healthy meal!